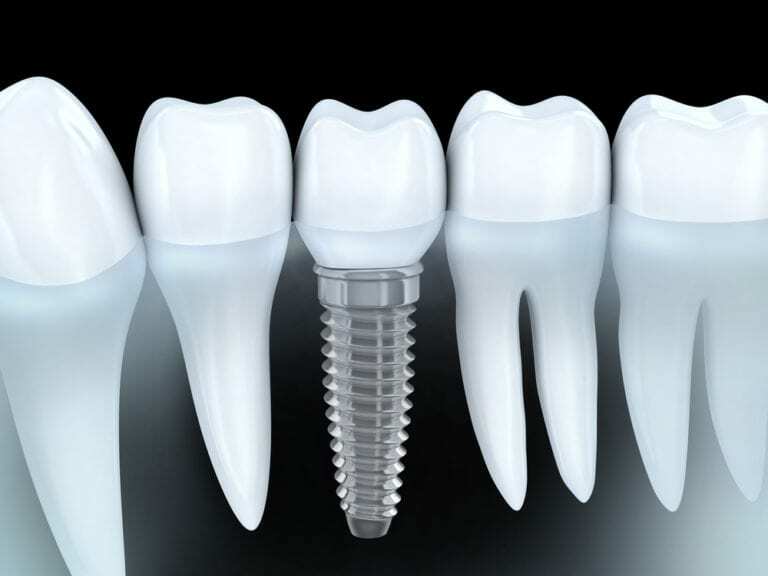 An implant is a artificial tooth root in the shape of a post that is surgically placed into the jawbone. The “root” is usually made of titanium: the same material used in many replacement hips and knees, and a metal that is well-suited to pairing with human bone. Conventional bridges and dentures are not fixed to the bone, and can therefore be unstable. This can make it difficult to eat or smile with confidence. Implants not only look more natural, but feel and act more like normal teeth, with a stronger biting force. And because they don’t directly rely on neighboring teeth for support, implants don’t compromise the health of your natural teeth..Implants will typically last a lifetime. Computer-Enhanced Treatment Planning: We have special software on our computer that allows us to evaluate your dental 3D CT Scan for bone quality, bone quantity, and bone location, enabling the best possible placement of your dental implants. This also allows us to work closely and smoothly with your restorative dentist to ensure an ideal result where your dental implants are concerned.